Your little space explorer will be ready for NASA's next big discovery with their own NASA Vector Onsie! Perfect for birthdays, baby showers and grandparent visits! 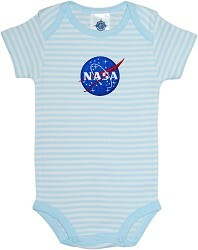 Made of 100% soft cotton these are on every parents' must have list.